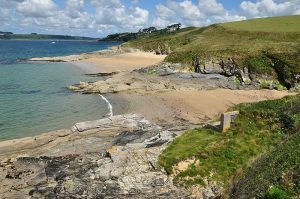 Fancy heading off the beaten track and discovering some of the county's beautiful 'secret' beaches? Often boasting spectacular scenery, crystal clear waters and golden sand, they're well worth exploring. Here are just some of our favourites. As the next cove around from the popular Bedruthan steps, it’s a wonder that Pentire Steps has managed to remain such a well-kept secret. A secluded, sandy cove that is sheltered by cliffs, it truly is a stunning place to visit. However, although there is a path down to the beach, it isn’t the easiest climb – especially the last 100m, so real care must be taken. Having said that – should you brave it, this photogenic beach is well worth the effort. © Copyright Nilfanion and licensed for reuse under this Creative Commons Licence. 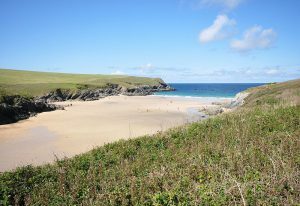 Whilst only a short distance from the ever popular beaches of Newquay, Polly Joke has, in the main, remained quiet due to the fact there is only a small car park located a relatively long walk away from the sand. However, the caves, streams and golden sand make it a great place to explore and enjoy with the family -should you decide to make the journey there. © Copyright Chris Lovelock. Licensed for reuse under this Creative Commons Licence. 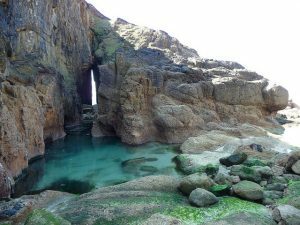 Another of Cornwall’s best kept secrets, this spectacular spot is located just south of Land’s End. Known for the natural rock arch found here – through which the afternoon sun glows – only those happy to trek the mile from the nearest parking spot venture here. 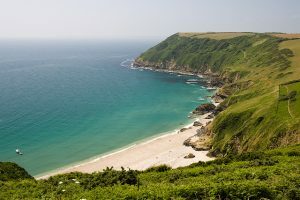 As one of the most beautiful beaches in West Cornwall, we think the hike is more than worth it. A truly spectacular sight awaits at Lantic Bay – well-hidden and, once again, requiring a good walk to reach it, this stretch of golden sand is sheltered by pretty green cliffs and boasts beautifully crystal clear waters. Parking at the National Trust car park east of Polruan, follow the well-marked path that takes you across the road and into a field on the other side - leading you towards the beach. Sheltered by St. Anthony Head with its lighthouse standing tall over the Carrick Roads and with views of Pendennis Castle across the water, Great Molunan and Little Molunan offer fantastic locations for family days out with their rock pools, beautiful sand and clear waters - they’re also great for a beach BBQ or two! Visitors to the beaches are as likely to arrive by boat as they are by car – if not more so due to the long drive and walk to get here. 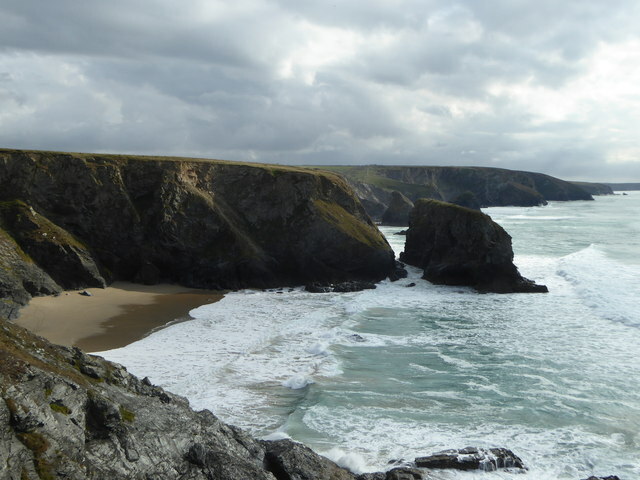 Want to discover more spectacular beaches in Cornwall?